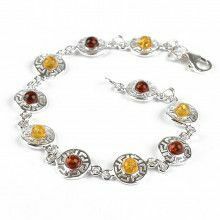 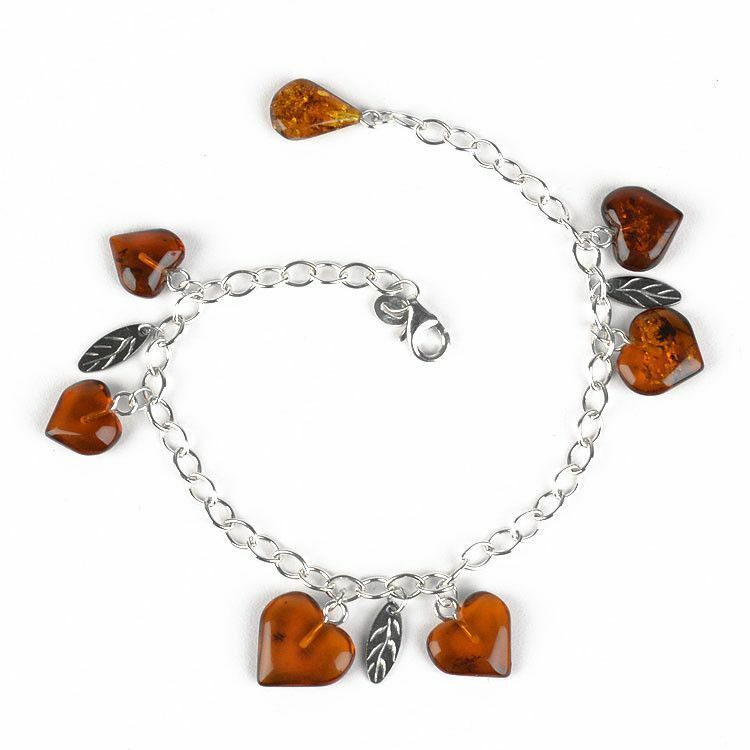 This 8 1/2" long bracelet features genuine Russian amber hearts and etched sterling silver leaves dangling from a chain. 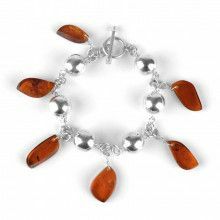 The pretty bracelet can adjust size depending on where you clasp it, but generally fits wrists around 8" in size. 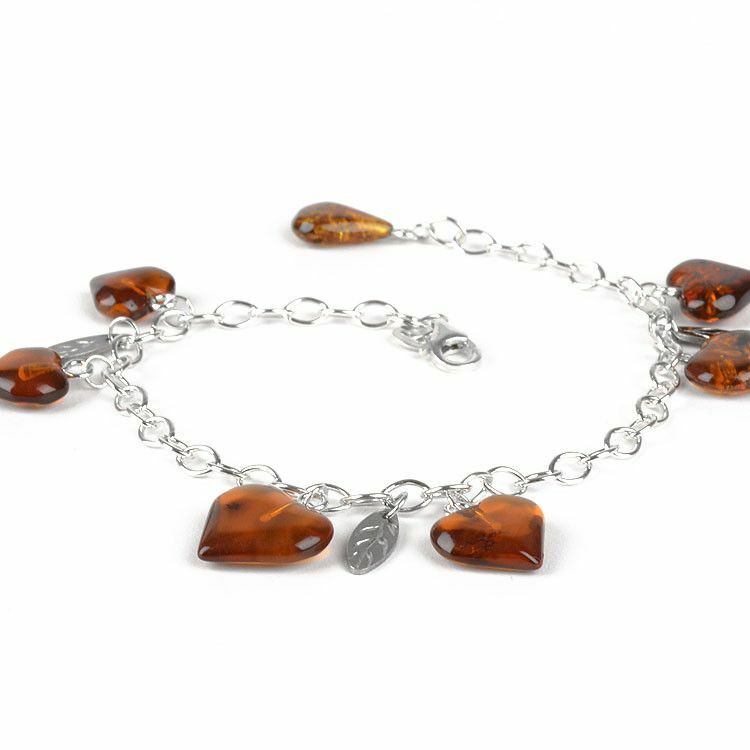 Crafted in Russia. 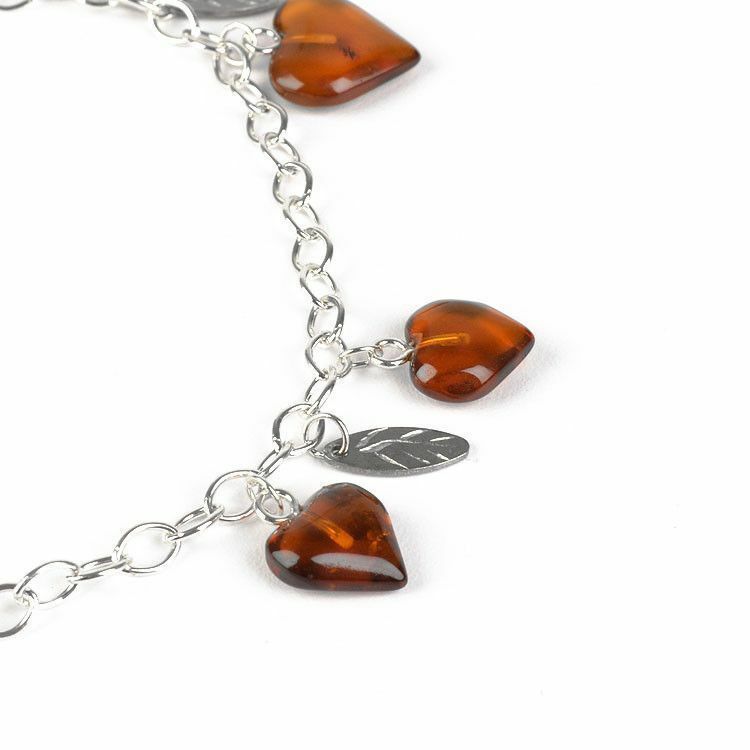 Makes a great Valentine's Day gift!